Make your holidays extra special with holiday and season hats. There are many styles of holiday hats that you can choose from thus selecting the right one can be a daunting task. 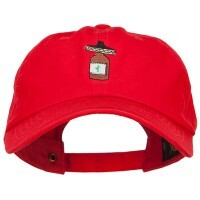 Be sure to check our site to find the right hat that fits the occasion. A lot of people have a favorite season or holiday they can easily name if asked to, as these certain occasions often bring them a type of happiness they cannot find elsewhere. Festivity and merriment during the holiday season can be a reflection of joy. One can ramp up these happy feelings with Season and Holiday Costumes. Season and Holiday Costumes do not just apply to Halloween ensembles, but also to anything wearable that celebrates the holiday season. Costumes can mean dressing up to mimic the appearance of certain Season and Holiday characters, such as by wearing a jester hat, or leprechaun-outfit-looking fedora; however, costumes are not strict and can also refer to any attire paying tribute to the holiday season, such as the feature of certain seasonal symbols—a simple cap that displays a popular holiday phrase or a beanie featuring the face of a snowman. These articles add the right holiday touch to any outfit. Never again should you lack holiday attire by wearing season and holiday costumes. Celebrating an important party or special event? Then you need to dress your part. Our season and holiday hats are great for celebrating different events that you have in mind. To make it easier for you choose the right hat, decide which holiday you want to celebrate with more festivities. There are holidays that are already festive so you can make them more momentous by getting Santa, Christmas Hats, Halloween Hats, New Year’s Hats, and Mardi Gras Hats. So, make sure that you choose the right one that fits your style. Fortunately, there are many designs that you can choose from so you are likely to find the one that suits your style. The thing is that different holidays have their own corresponding hats. 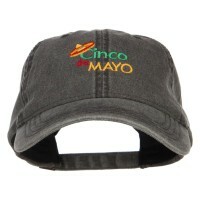 For instance, you can celebrate Cinco de Mayo with Cinco de Mayo Hats or celebrate with the popular Irish holiday with St. Patrick’s Hat. You can also celebrate Easter with Easter Hats. With the many designs of holiday hats, finding the right one that suits your needs as well as with the occasion is not so difficult at all!